Baroka became the first team to advance to the Telkom Knockout semi-finals after claiming a shock 2-0 victory over Mamelodi Sundowns at the Peter Mokaba Stadium on Saturday, writes DYLAN APPOLIS. 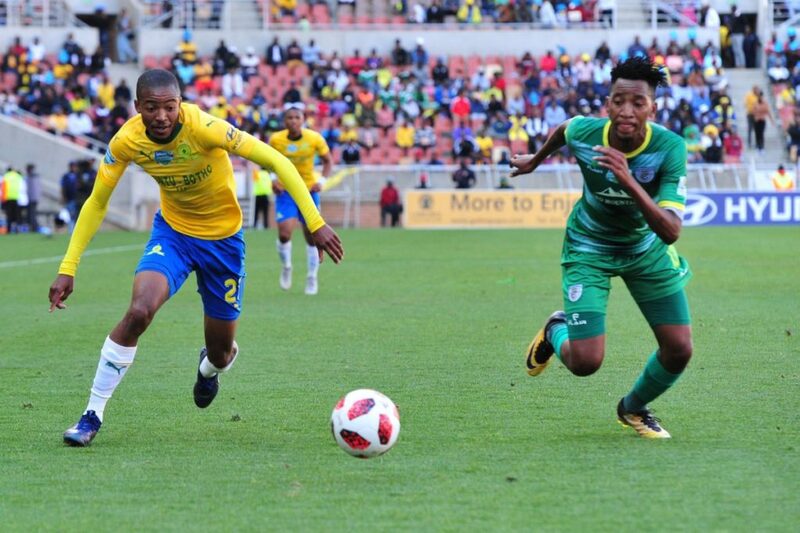 Pitso Mosimane’s men progressed to this stage of the competition after defeating Bloemfontein Celtic 1-0 at the Lucas Moripe Stadium through a goal from Gaston Sirino. Meanwhile, Wedson Nyirenda’s outfit advanced to the quarter-finals following their 2-0 victory over Golden Arrows courtesy of goals from Collins Makgaka and Tebogo Sodi. The home side looked the more lively team in the opening exchanges of the match. Sundowns had the first chance of the game after 19 minutes when Ricardo Nascimento picked out Sirino, but the wing failed to guide the ball past Baroka keeper Elvis Chipezeze. Bakgaga were then awarded a penalty three minutes later when Mosa Lebusa was adjudged to have handled the ball inside the box. Mduduzi Mdantsane stepped up and made no mistake from the spot-kick to hand the home side the lead, 1-0. Sirino should’ve levelled matters for the Brazilians on the half-hour mark when he was given space just outside the area to unleash a strike, but his shot sailed over the target. Baroka nearly doubled their lead three minutes before the break, but Sodi was unable to steer his header towards the target. It was Sundowns who came out with more intent in the second half as they looked to draw level. Sirino had the ball in the back of the net after 53 minutes, but the referee flagged his effort as offside, although the replay showed he was a yard on. However, Baroka doubled their lead in the 68th minute when Sundowns goalkeeper Reyaad Pieterse deflected the ball into his own net. At the other end, Sundowns had a chance to reduce the deficit, but Chipezeze made a stunning save to keep out Aubrey Ngoma’s header. Sirino had another opportunity to pull a goal back two minutes later, but his effort sailed inches wide of the target. However, the home side managed to keep their 2-0 lead over Sundowns to book their place in the Telkom Knockout semi-finals. Baroka Starting XI: Chipezeze, Mabeba, Makume, Gebhardt, Mdantsane, Sodi, Mosele, Chawaphiwa, Semenya, Makgantai, Sibiya. Subs: Dlamini, Kgoetyane, Chivaviro, Madubanya, Nkausu, Kgaswane, Patjie. Mamelodi Sundowns Starting XI: Pieterse, Lakay, Morena, Nascimento, Lebusa, Mabunda, Jali, Sirino, Maboe, Zwane, Silva. Subs: Mweene, Manyisa, Madisha, Mkhulise, Brockie, Mahlambi, Ngoma.